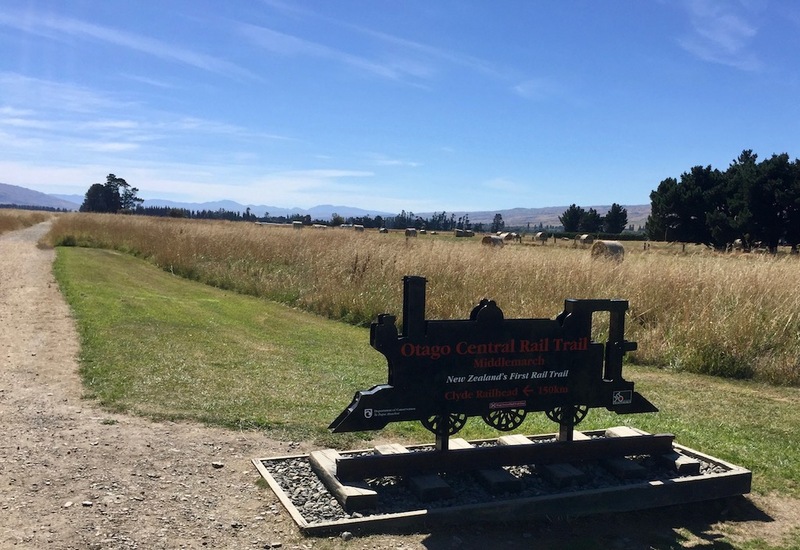 Otogo Central Rail Trail day one. The trail was great but first was the train ride. We left the Dunedin Holiday Park by 8:30 to get to the train station by 9:00. We knew the route after riding it the day before. 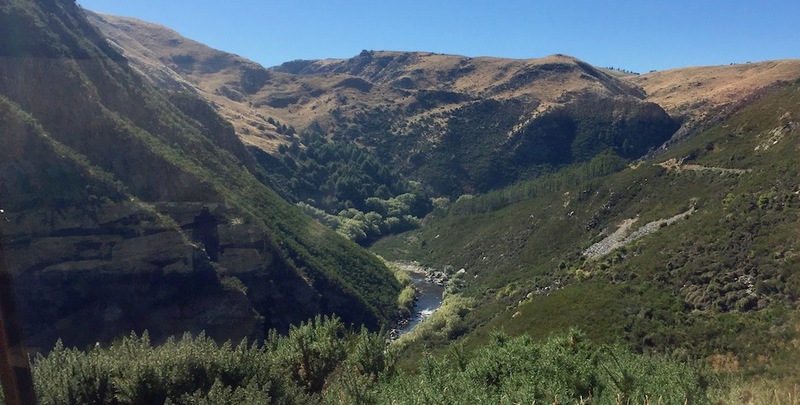 The Taieri Gorge Railway train ride was very scenic but short of spectacular. There was a man doing a constant commentary which was entertaining as well as informative. 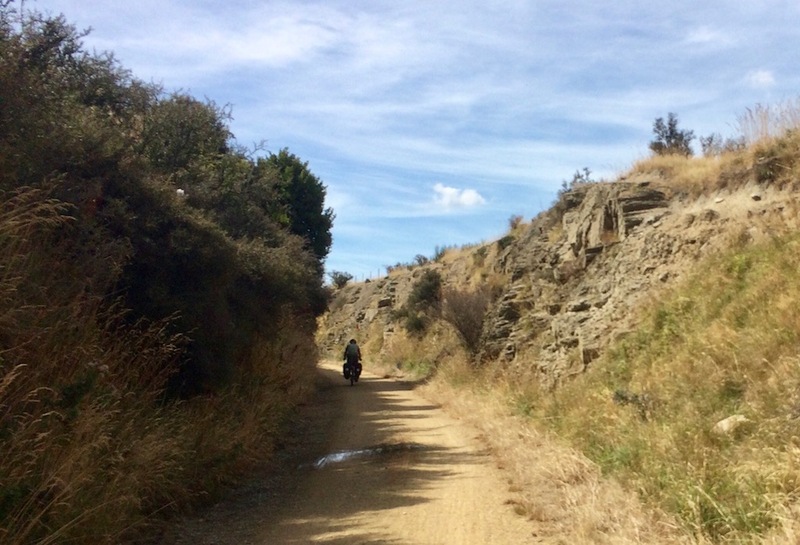 Most people ride this as a scenic out and back, but there were a number of people heading to Middlemarch to ride the trail. Middlemarch is a tiny town but was buzzing with activity. Many tour vans and bike rental companies were picking up or dropping off people and bikes. We stopped at the SheBikesHeBikes office to ask some questions and fill up our water bottles and started out on the trail. It was nice to be starting out on another trail, especially a smooth flat one. 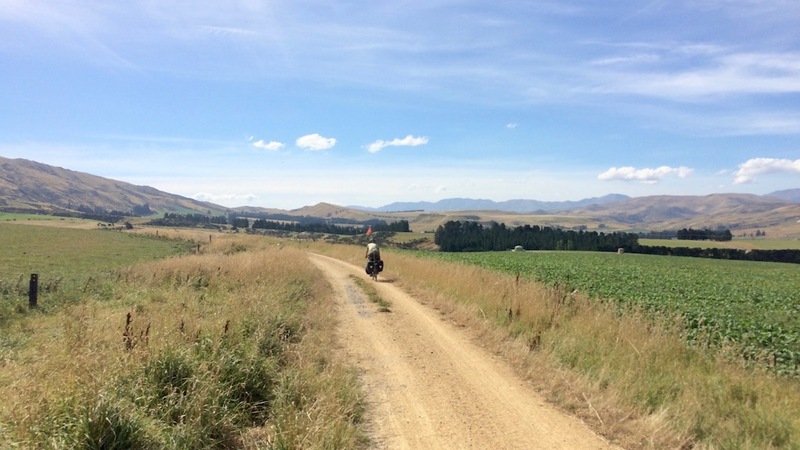 The scenery was not particularly inspiring but the easy riding made up for it. There was not much on the trail except for the "Ganger's Sheds" which were now information booths. These could also serve as emergency shelters should the weather get harsh, as it does in the winter here. Eventually we got to Hyde. Almost a ghost town the only thing left is the Hyde Hotel, which is shut down but still has a self serve "honesty" store with ice cream, snacks, and drinks. It was warm so an ice cream hit the spot. I hope someone revitalizes this place. 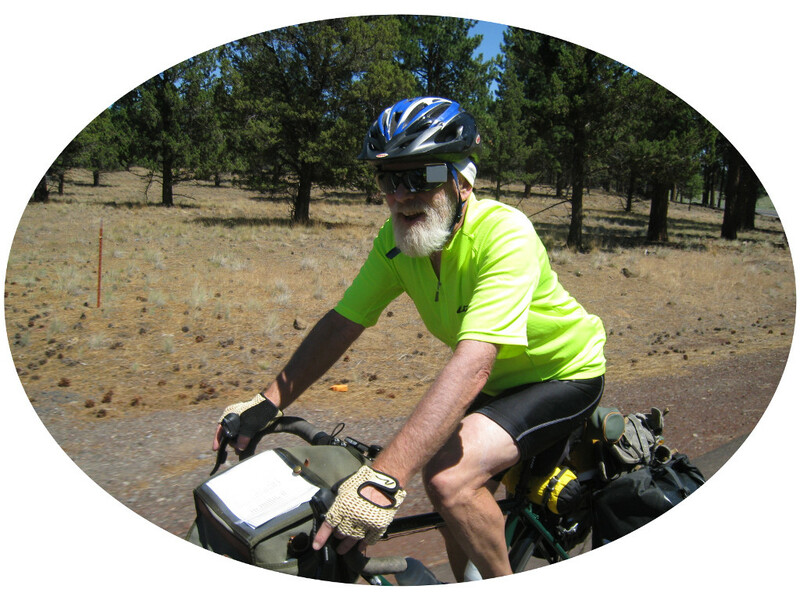 It is in a really good location on the trail. We soon came to our campsite which was listed in the guide as an "informal" campsite. There was a good composting toilet and room for tents. Good enough for me. There was also the Taieri River which was warm enough for a rinse off. We had settled in and were just starting to get into dinner when a Dansih couple with two girls aged 4 and 6 months showed up. Very inspiring to see people touring with their young kids. We shared the one picnic table and talked over dinner. At dusk I climbed a hill and played my Shakuhachi. I haven't had much opportunity to play it lately as we've been staying mostly at holiday parks. The train approaching a viaduct. I love how rail trails go through these cuts rather than over the hills. Red skies at night, our first on the rail trail.